Our Choir robes are made of polyester (175GSM) and feature a traditional open front, a plain gathered back and batwing sleeves. Bespoke designs/colours are available to suit all needs so please get in contact if you have a specific request. 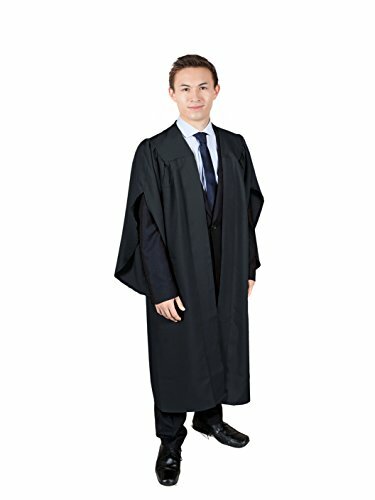 Graduation Attire are suppliers of graduation gowns, academic clothing, choir, church and legal wear. Our focus is on quality products and exceptional customer service, ensuring that we are your number one choice for all your graduation and professional needs. Please visit our Amazon store for our full range. If you have any questions about this product by Graduation Attire, contact us by completing and submitting the form below. If you are looking for a specif part number, please include it with your message.